Home » international news » When Modi meets Trump: what can India expect realistically? When Modi meets Trump: what can India expect realistically? Five months after he took over from Barack Obama, US President Donald Trump will host Prime Minister Narendra Modi in Washington on Monday. Both leaders have so far just spoken on the phone twice. With Trump’s image of an unpredictable leader, trying to realign how US conducts diplomacy according to his world view of a businessman, few are expecting anything spectacular from the visit. Although, a big ticket defence deal is expected. Reports suggest that the US has agreed to supply 22 armed predator Guardian drones to the Indian Navy. The $2-3 billion deal would strengthen the intelligence gathering and reconnaissance capabilities of the Indian Navy. Touted as a game changer, the first big deal since India was designated the status of a special defense partner, it was stuck over objections from the US State Department. Now reports suggest that a formal announcement is expected soon. Not just drones, with India in the process of ordering about 100 single engine fighter jets to replace the Mig21, Lockheed Martin, the manufacturers of F16, have had an agreement with the Tata Advanced Systems “affirming the companies intent to join hands to produce the F-16 Block 70 in India.” This is seen as a push by the American manufacturer of a fighter jet at the fag end of its illustrious career, although still important for India which is facing a serious dearth of these machines. Although, there is a possibility that the deal may not happen during the visit, but PM Modi is known to spring surprises like it happened with the Rafale deal with France. However, bilateral visits are more than just defence deals. And lately the ties have seen hiccups. “With Modi big on Make in India, and Trump campaigning America First, it’s going to be a slightly difficult visit for the Prime Minister,” a former diplomat says. 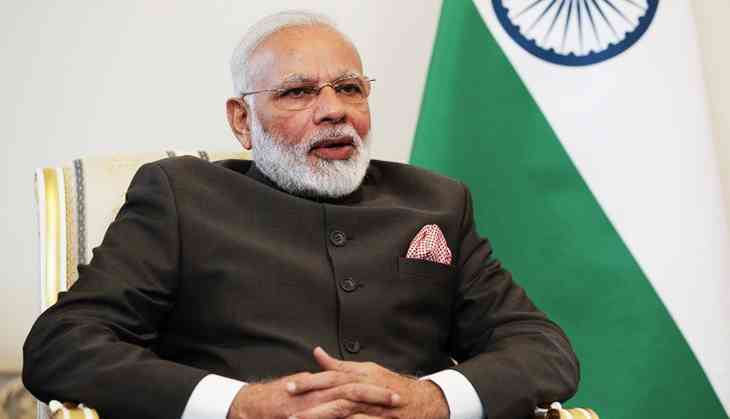 MEA spokesperson Gopal Baglay says "One of the agendas of the visit is how to further push and develop economic and commercial cooperation between the two countries for mutual benefit," and that "The leaders will have an entire gamut of relationship in front of them when they talk." Trump built his campaign speaking out against immigrants even banning citizens of some Muslim countries from the US, something which was put on hold by the Court. In line, with his anti-immigrant stand, India has been concerned about the possible curbs on the H1B visas which could make the IT companies bleed, if it were to come into force. Experts do not see any ironing out of these contentious issues, albeit India has conveyed it’s concerns, and like Sushma Swaraj put it in a media interaction recently, that authorities are in talks with all stakeholders including Senators and others to make sure Indian business interests are safeguarded. The visa issue is likely to again come up during the meetings. Not just this, India was in for another surprise when Nikki Haley, US envoy to the UN, had offered to mediate between India and Pakistan, something India has been touchy about, and is not keen on any mediation. Trump talks tough on terror and the US administration has had expressed its unhappiness with the Pakistani government’s approach to terror groups. Terror safe havens in Pakistan could lead to the Trump administration harden its stance towards Pakistan. But experts point out that merely cutting military aid would not solve the problem, and would be like barking up the wrong tree. It will be interesting to see what role the Americans expect India to play in Afghanistan where violence has gone up. Besides Taliban, the region has seen the rise of terror outfit, Islamic State’s Khorasan chapter, which has caused tremendous unease among countries including Russia forcing it to open a channel with the Taliban. Top US officials including Defence Secretary James Mattis have signalled a change in approach in Afghanistan once the regional strategy is ready in July. Meanwhile, there are fears that India does not figure too high on Trump scheme of things. As an expert points out, Trump has already met other top leaders, including Chinese President Xi Jinping and Japanese Prime Minister Shinzo Abe, beside others, including from the Muslim world in Riyadh recently. The only high level bilateral meetings between India and the US has been the visits of NSA Ajit Doval and Foreign Secretary S Jaishankar, and the US NSA HR McMaster’s visit to New Delhi where he met top officials and PM Modi.